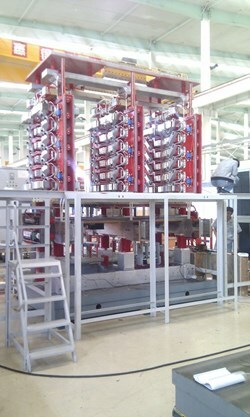 In an important step toward powering the ITER poloidal field magnets, Chinese industry delivered the first poloidal field AC/DC converter bridge and external bypass to the Institute of Plasma Physics at the Chinese Academy of Sciences (ASIPP), where it will be part of the ASIPP test platform that mimics the site configuration at ITER. Present on 25 October to witness the arrival of the first poloidal field AC/DC converter bridge and external bypass were colleagues from ITER's Coil Power Supply Section and the ASIPP team. ... and external bypass will be integrated into a test platform at ASIPP. 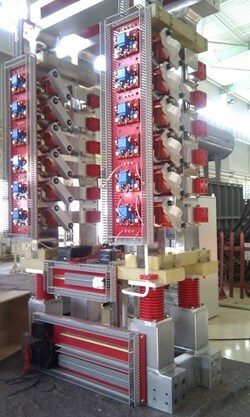 Fourteen poloidal field converters will provide controllable current/voltage to ITER's six poloidal field coils. China is responsible for the procurement of all 14 poloidal field converters that will provide controllable current/voltage to ITER's six poloidal field coils. The system is challenging to design and fabricate, in particular due to an unprecedented power level and short circuit current and a highly specific operation mode. The fabrication contract was awarded by ASIPP at the end of 2011. As a component to be built from scratch—and quite unlike the traditional converters used in industrial applications—it was a challenging task. 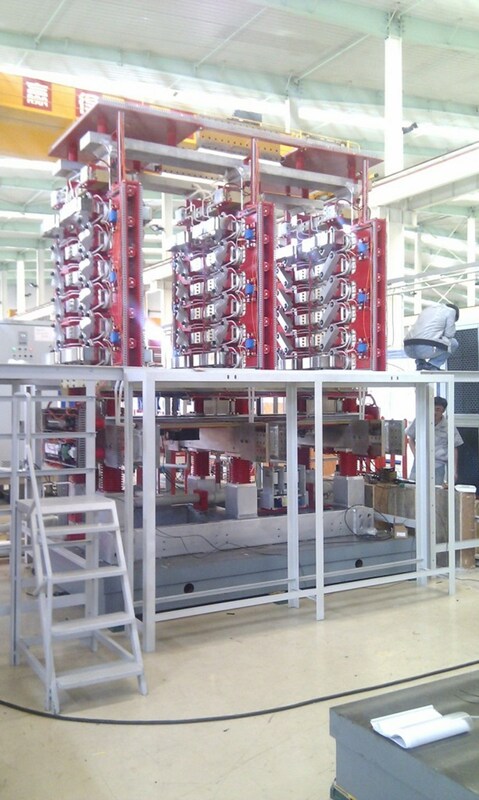 Thanks to the joint efforts of ASIPP engineers and the manufacturer, following a manufacturing design review in 2012 production and manufacturing went smoothly. The converter bridge and bypass successfully passed routine tests at the factory, as witnessed by Chinese Domestic Agency and ASIPP representatives. The first converter bridge and bypass, together with another three bridges and some auxiliary systems, will serve as the system prototype. Operational test runs on the ASIPP platform will permit the verification of the units' performance and provide experience and data for future series production.